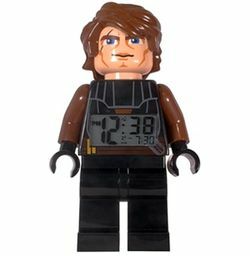 Anakin Skywalker Digital Clock is a LEGO Star Wars themed clock released in 2010. It is produced by ClicTime who refer to it as 9003073. Facts about "Anakin Skywalker Digital Clock"
This page was last edited on 9 January 2016, at 23:02.